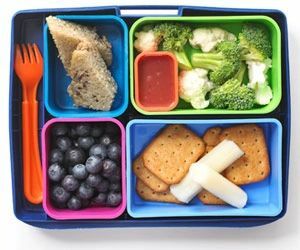 Good school lunch prep planning can save you time and stress. Here are some tips. Try this grab and go idea from delightfulorder.com. 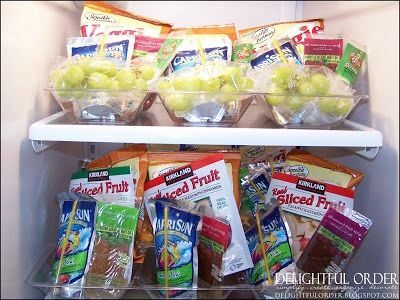 Use plastic trays to prepare lunches for the entire week. On Sunday, fill each bin with healthy snacks and different tasty treats for each day of the school week. Mix fresh fruit, pre-packaged foods like granola bars, trail mix, raisins, pita chips and yummy yogurt. All you have to do in the morning is add a sandwich. You can also make and freeze your sandwiches ahead of time. Spread the peanut or almond butter on both sides of the bread and put the jelly in the middle. 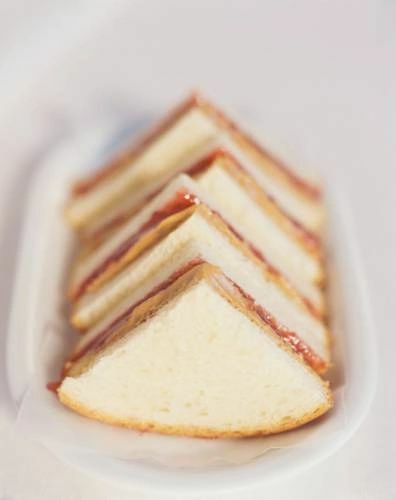 You can also freeze lunchmeat sandwiches after putting the mayo between the meat and cheese. Cutting the sandwich ahead with a cookie cutter is fun for the younger kids. Bag it, freeze it, and take it out the morning of school. It will thaw by lunchtime. Don’t let the sandwich routine get stale. 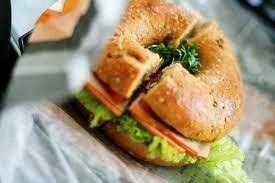 Change it up by using a variety of breads such as bagels, rolls, pitas, croissants and tortillas. It will keep the kids from getting bored! Kids love to dip. Fill small containers with hummus, bean dip, ranch and other dressings. 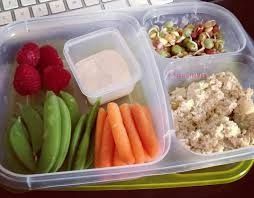 Have snap peas, carrots, edamame and other colorful crunchy veggies sliced ahead of time and ready to pack that morning. Get rid of all those sandwich bags and check out these great bento boxes. Laptoplunches.com sells lots of different colors and sizes that are perfect for packing up the night before. Have some plastic cutlery to throw in too. And don’t forget a cool pack if you need things chilled down. Bon Appetit!